There’s somewhat of a stigma attached to reality television. Okay, that’s not true. There is a stigma attached. Reality TV is, in essence, viewed as lesser television. It’s hard to argue against that on a content basis alone. Many shows – think every one of those MTV reality shows like Next from the mid-2000s – don’t exactly contribute much. American Idol is ending. There’s probably forty of these programs on right now if you looked hard enough. For many of them we don’t want to admit we like them as much as we do. However, when programs like The Voice and America’s Got Talent regularly get big viewership numbers that means that some how, some way we are still somewhat in on reality TV. After all, it’s been a decade and a half and The Amazing Race and Survivor are still around. That’s another key to reality TV – longevity. These shows are fairly cost effective to produce, therefore they can run forever. It’s not often that you see a show come and go like it was nothing. That’s where Kid Nation comes in. 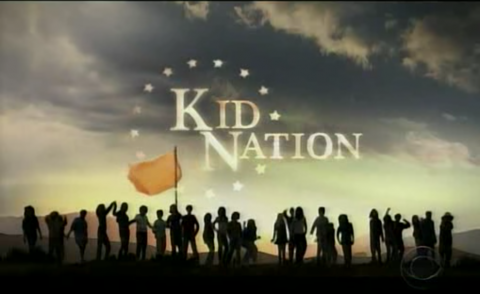 Kid Nation was the biggest show on the planet to the 13 year old version of myself in 2007. The show took 40 kids, ages 8-15, and put them in a New Mexico ghost town to see if they were able to act as a functioning society. Many thought, although to relatively incorrect degrees, that the experiment would devolve into a Lord of the Flies esque bit of insanity. Thankfully that was not the case. But it sure did make for some incredible TV. The shocking thing picked up by watching the one and only season – which is available in its entirety on YouTube – is how oddly polite many of the kids are. That is, how polite they are when they are being polite. Each modern reality show has its share of villains, but most seem rather constructed. Adults are entirely conscious of the fact cameras are around, and some of the actions are too insane to be unscripted. Kid Nation doesn’t have that vibe. Yes, it has standard stuff to set up story and allow for a show to happen – it is television in the end. But many of the kids seem to just be acting like themselves. Some (Taylor) are brats, others (Greg) are jerks, one (Jared) is a crazed, charming, semi-Minion like superstar in his own right, and the rest fill numerous roles episode by episode. Watching kids try to figure out how to cook or handle water retrieval isn’t the greatest, but watching them operate as a society and attempt to make large scale decisions on their 40 day stay is downright mesmerizing. In fact, the show gives you heroes and villains without really having to try. Greg and Taylor are two of the best on screen villains I have ever seen, the former a shockingly complex character in hindsight whilst rewatching and the latter a 10 year old with the sharpest vocabulary for anyone that has yet to advance to real scissors I’ve ever seen. I’m telling you, this show is addictive. For as many of the shows get caught down in a bog of “horrible people doing horrible things” this is more a “driven kids looking to make their own world, with super fun clashes involved” sort of show. I’ll stand by the fact that anytime there is an election for the Town Council you will be on the edge of your seat. Try not to get emotionally invested, I dare you. Below is the first episode, and you can find more from there. Give it a chance, it won’t take you long. And when’s the next time you’ll stumble upon such a delightful, unique, rare show?